It's "anything goes" all month long at Your Scrapbook Place. Cards, scrapbook pages, and any other paper craft projects are welcome. Link up your latest creation over there before the end of the month, and you could win a $25 gift code to our shop! Here's a little mid-challenge inspiration for this challenge from Sandy and Lynn. 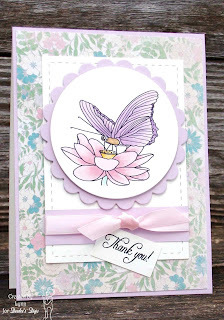 Lynn went with a soft pastel Thank You card. I agree with Lynn that a purple butterfly is beautiful and I'm sure there is one out there in the world! 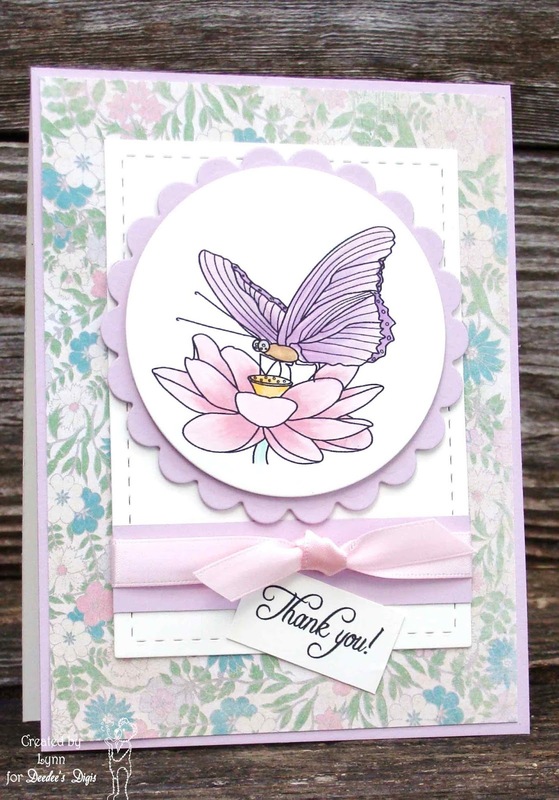 The floral background paper is the perfect accent for the Fluttering By digital image. Time to Dive on In!